Tomorrow marks the one year anniversary of the ongoing weekly protest in the Gaza Strip known as the Great March of Return, which has involved hundreds of thousands of Palestinians marching to the border with Israel every Friday. 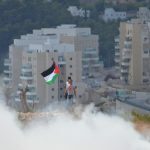 This peaceful protest is calling for the right for Palestinians to return to their homelands within what is now Israel, as well as being an ongoing mobilisation with the aim of bringing the 12 year commercial goods blockade of Gaza to an end. During the time the demonstration has been underway, the Israeli parliament passed a law that effectively enshrined Israel’s decades-old system of apartheid in the nation’s Basic Laws: its de facto constitution. This means Palestinians living in Israel have no right to self-determination. And on Monday, as the anniversary loomed, Israel yet again began hitting Gaza with a barrage of missile attacks. This is a region where two million Palestinians live in what has repeatedly been described as an open-air prison. And its water source will be “irreparably depleted” by next year. In another divisive move, US president Donald Trump recognised the Golan Heights as part of Israel on Monday. This region was part of Syria prior to Israelis forces seizing it during the 1967 Six-Day War. Under international law, the Golan is recognised as an illegally occupied territory. This move follows on the back of the Trump administration recognising Jerusalem as the capital of Israel in December 2017. This is a move that every other US president for the last two decades had refused to make. And on 14 May last year, Trump’s daughter Ivanka presided over the opening of the newly relocated US embassy in Jerusalem, while at the same time just 70 kilometres away, Israeli forces gunned down 58 unarmed Palestinian protesters in the Gaza border region at the site of the Great March. Following the massacre of civilians along the Gaza border, Australia and the US were the only two nations to vote against a proposal to launch an independent investigation into the atrocities at a special meeting of the UN Human Rights Council called in response to the incident. And Scott Morrison last October announced he was contemplating following Trump in recognising Jerusalem as Israel’s capital and moving the nation’s embassy. Although, in December, he watered this down to only recognising West Jerusalem as the capital, with no accompanying embassy move. The Palestine Action Group Sydney has been raising awareness about the plight of the Palestinian people since 2012. And this coming Saturday 30 March at 1 pm in First Fleet Park, Circular Quay, it’s co-hosting the Protest Israeli Apartheid on Palestinian Land Day to mark one year of the Great March. 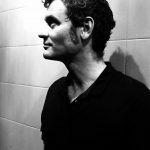 Sydney Criminal Lawyers spoke to Damian Ridgwell, a spokesperson for Palestine Action Group Sydney, about the campaign to boycott Eurovision, the implications of Trump’s Golan Heights move, and how grassroots support for Palestine in Australia is rising. Firstly, the Eurovision contest is set to get underway in mid-May. This year it’s being hosted by Israel in the city of Tel Aviv. Palestine Action Group Sydney, along with other Palestinian advocacy groups, have been calling for it to be boycotted. Damian, how is the campaign going? And why would you say it’s important for Australians to avoid the contest this year? 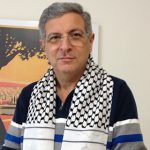 It’s important for people to boycott the contest this year, because holding such an event in Israel, while it carries out systematic human rights abuses against Palestinians in both territories they occupy – the West Bank and Gaza – and being a country with racist laws that discriminate against Palestinians within Israeli borders, basically it whitewashes this reality. The dispossession of the Palestinians and the apartheid system of Israel is not going to be discussed while this contest is held. So, this presents a face of Israel being a liberal, democratic society, when it’s actually carrying out these abuses of Palestinians on a routine basis. In terms of how the campaign is going, internationally, there’s been a number of successes. In particular, in some country’s entrants have said they support the campaign. In Australia, it’s drawn attention to the campaign to call for a cultural and academic boycott of Israel and the demand that Australia should discontinue its relationship with the Israeli state, while it continues to defy international law and abuse Palestinian human rights. Unfortunately, SBS has refused to not screen Eurovision this year. But, we are still campaigning to try and push that. On Monday, the Trump administration recognised the Golan Heights as part of Israel. How significant would you say this move is? And what sort of impact could this US recognition have on the Occupied Palestinian Territories? It’s very significant. The Trump presidency has gone out of its way to give Netanyahu and the Israeli establishment a green light to pursue its ambitions, to seize even more land, and to try and push land that they’ve held under occupation towards permanent incorporation within the Israeli state. You can see that reflected in the move of the American Embassy to Jerusalem, which has encouraged and seen an increase in the setting up of settlements in East Jerusalem. Israel has long being trying to make Jerusalem the capital of Israel. The Trump presidency has done a lot to give the green light to them to pursue those ambitions. In supporting the annexing of the Golan Heights – which is illegally occupied territory and should be given back to the Syrian people – is an appalling move by Trump that will only embolden Israel in their settlements and seizing of land within the West Bank. You’ve just spoken about the consequences of Trump recognising Jerusalem as the capital of Israel. But, why do you think the Trump administration has been so determined to recognise these Israeli claims that other nations, and indeed, other US administrations, have shied away from? It has a lot to do with the US role in the Middle East, as an imperialist power. Its relationship with the Israeli state has always been one where Israel has been a strong military ally that the US can rely on to discipline any state that tries to defy the agenda of the US empire. Trump signifies a more right-wing turn in American politics both internally and internationally. So, his giving the go ahead to Israel for their actions – whereas earlier administrations have been cautious to give unconditional support – is a very worrying development. It has a lot to do with the US trying to find ways to maintain its control over the Middle East and the world’s largest oil reserves, as well as reasserting itself as a world superpower in a period where there’s a growth of other powers in the world that might challenge its influence. Saturday is the one year anniversary of the peaceful protests in Gaza, which has been blockaded commercially for over a decade. In your understanding, what’s life like for Palestinians living in Gaza today? Life is pretty dire. Gaza has suffered three extremely brutal wars by the Israeli military on its territory. This has consisted of wide scale bombing of civilian infrastructure, including hospitals and UN establishments delivering aid. 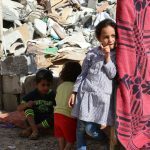 One of the things that the blockade prevents entering is construction goods, so because of this it has been difficult for people in Gaza to rebuild that civilian infrastructure. It’s a humanitarian disaster. And that’s one of the things that has motivated people to protest on the border of Gaza every Friday for an entire year. It’s at the tipping point. Gaza could become almost entirely unliveable for many of those people. That’s why we think it’s very important for people in Sydney to share their solidarity with those Palestinians, who are putting their bodies on the line to fight for their right to live. They’ve been shot by Israeli snipers just for protesting peacefully on the border of Gaza. And we want to show our solidarity with the struggle: their resistance against that occupation. The Australian government voted against a UN proposal to establish an independent investigation into the massacre of 58 people on the border of Gaza last year. And although he backed down on the proposal, our PM announced he might recognise Jerusalem as the capital of Israel. What do you think about the Australian government’s track record in regard to Palestine and Israel of late? Australia has been next to the US as one of the worst in terms of its track record and policy on Palestine. Australia votes consistently with the US in terms of the Israeli state, when they carry out war crimes and massacres against the Palestinians. And this is entirely to do with the Australian establishment’s connection with the US empire. This has a long history with Australia’s involvement with the invasion of Vietnam. And the Five Eyes alliance, where it shares intelligence and spying information with the US and other countries. It’s a relationship that any government that upholds human rights, and the rights of the oppressed, would actually seek to distance itself from and break that alliance. Unfortunately, the major parties in Australia that form government – Labor and the Liberal Party – are both outspoken supporters of that alliance. And both have a track record of supporting Israel’s war crimes and whitewashing that legacy. This is part of the reason why the campaigns that we run are so important for people in Australia, because while Australia does not have as many direct links with the Israeli military establishment or the Israeli government, politically the Australian establishment plays a role in normalising relationships with the Israeli state, and supporting the acts that Israel carries out against the Palestinians. If more countries like Australia would actually break ties with Israel and call them out for the war crimes and the human rights abuses that they carry out, this would actually help Palestinians in their struggle for their own rights. And it would undermine the legitimacy of the apartheid system Israel runs. But, beside the government, what sort of support would you say Australians have for the Palestinian people? And have you seen this changing over your time of campaigning? Yes, definitely. 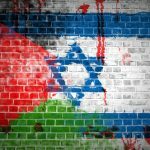 There has been polling done that has shown that support for Palestinian rights has increased in Australia. But, there’s a long way to go. According to the data that I’ve seen, more people in Australia say their sympathies lie with Palestinians, rather than the Israeli government. But, there’s a large proportion of people who are undecided or uninformed about it. 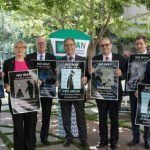 Part of the task for people of conscience in Australia is trying to mobilise the support to put pressure on our own government. But, also to try and educate those who are unaware of the situation about why the struggle of Palestinians is so important. There has been a big change over the years that I’ve been involved as a Palestinian rights activist. A lot of that has to do with people seeing the news of the horrific bombings that Israel has carried out on Gaza. It’s quite clear to people that there’s an asymmetry of force here. And the narrative of Israel being a victimised state has been undermined by seeing Israel carrying out these atrocious acts on Palestinians in Gaza and the West Bank. This has really shown them to be the player with the power in the region and Palestinians are the victims of an apartheid system. And this has grown a lot of sympathy for Palestinians in Australia. This Saturday you’ve got the Israeli Apartheid protest in Circular Quay. What other campaigns or actions has the Palestinian Action Group Sydney currently got coming up? Yes. We’re having the demonstration this weekend to mark the one year since the beginning of the Great Return March in Gaza. But, also it’s going to be around the Eurovision song contest. In addition to that, we hold an annual demonstration on Nakba, which is on 15 May: the day when Palestinians were first dispossessed from their land by the Israelis state in 1948. It’s been a yearly demonstration to raise awareness about the Palestinian issue. But, also it’s to cut through that this is not just an issue about the occupation of the West Bank and Gaza. This is also an issue that cuts to the fundamental nature of the Israeli state. That Palestinians within Israel are also discriminated against through over 50 laws in the Israeli legal system and that very much goes back to how the creation of the Israeli state happened. The dispossession of Palestinians happened with the establishment of the Israeli state. And lastly, you’ve been campaigning on this issue since 2006. Many in the international community look towards the two-state solution. However, recent developments like the US embassy move are said to have jeopardised this outcome. Damian, what do you believe has to happen in order to see significant change going into the future? There hasn’t been a two-state solution. The peace process has been quite a farce. We can see that when Palestinians continually grant concessions to Israel, yet Israel continues to demand more land and more settlements within the Occupied Territories. Recent developments have shown the peace process is pretty much dead. What needs to happen? Israel needs to end their occupation of the West Bank and Gaza. They need to dismantle the apartheid wall that they’ve built within the West Bank territory. And they need to end discriminatory laws within Israel itself. The demand of the Palestinians has always been for a democratic society, where Palestinians are equal to anyone else living in that land. And there not be an apartheid system based on the racial supremacy of the Jewish citizens of Israel against the Indigenous inhabitants. That’s one that is going to require both mass struggle from the Palestinians within Palestine, and also a movement of solidarity from people internationally. Because as we can see those in power have never stood for the human rights of the Palestinians. 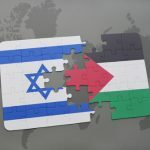 They always tend to support the players that meet their strategic political interests, which in terms of the US and western governments has always been to bolster the strength of the Israeli state as a military ally in the region. So, we have to look towards grassroots and people power if we’re going to see the downfall of the apartheid system, very much like the end of apartheid in South Africa came about. Apartheid was not brought down by international governments putting pressure on the state. It was brought down by a national movement within South Africa and a mass movement of solidarity of activists around the world to support that movement.